A group of black women in Washington, D.C., are part of an acting troupe that gives voice to the nameless, faceless black women of the Civil War in a different spin on re-enactment groups. Female Re-Enactors of Distinction, or FREED, was founded in 2005 in association with the African American Civil War Museum in D.C., and its goal is to bring to life characters from the 19th century who are the most overlooked in history books: black women. 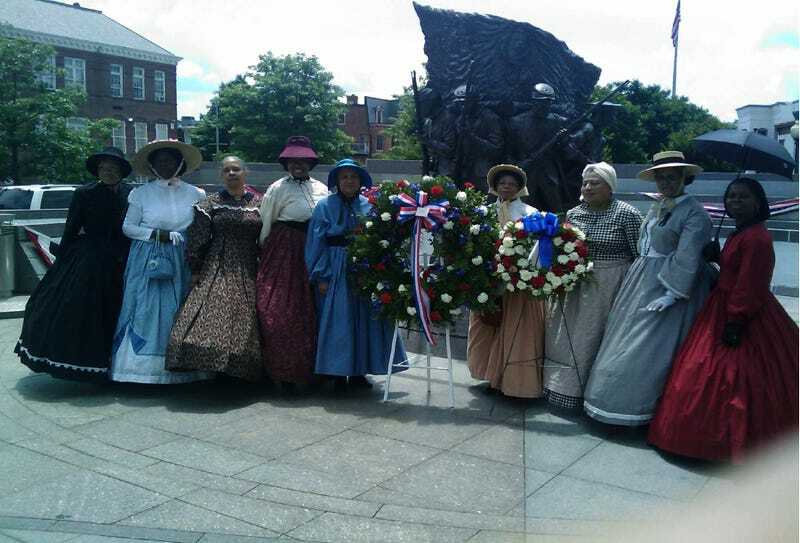 According to the Washington Post, the group came together after a group of women donned period dress at a museum event that commemorated the establishment of the U.S. Bureau of Colored Troops during the Civil War. Tyson said that Americans forget that black people were more than just Southern victims and that black writers, political activists, doctors, nurses and soldiers helped bring victory to the North and advance the cause of civil rights in decades beyond. “All that they were used to from movies was African Americans working out in the fields in rags,” Tyson said. Tyson, who is a former secretary for the State Department, portrays Hallie Quinn Brown (1850-1949), the daughter of former slaves who became a schoolteacher, college professor and organizer. Brown also toured Europe, giving lectures on African-American life, and she also appeared before Queen Victoria. Brown is not a household name like Harriet Tubman, the Post notes, but Tyson brings her to life for a modern audience. Frank Smith, a former D.C. councilman and founding director of the African American Civil War Museum, told the Post that the links FREED builds with the past are more important than ever. What an amazing tribute and a shining example of #BlackGirlMagic.